Mia Farrington is an abstract painter based in Portland, Oregon. 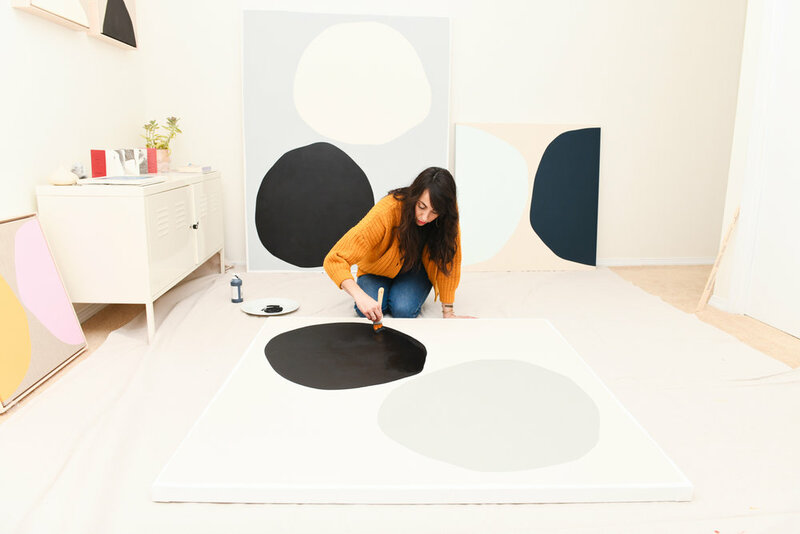 Mia’s art aims to bring color to the forefront. The colors are controlled and contained by a continuous hard edge making the color the focus which ultimately becomes the object. The paintings become about relationships and perception. How the colors influence each other, how they communicate with the surface and the texture of the canvas. Like so many perceptions in life, from far away the edges look flawless, yet once experienced up close is when the viewer comes upon all the intimate imperfections.